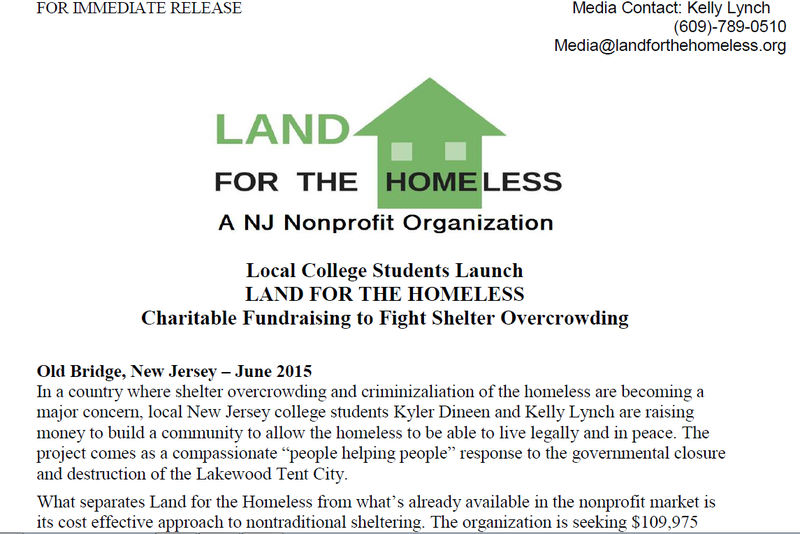 In a country where shelter overcrowding and criminizaliation of the homeless are becoming a major concern, local New Jersey college students Kyler Dineen and Kelly Lynch are raising money to build a community to allow the homeless to be able to live legally and in peace. The project comes as a compassionate “people helping people” response to the governmental closure and destruction of the Lakewood Tent City. What separates Land for the Homeless from what’s already available in the nonprofit market is its cost effective approach to nontraditional sheltering. The organization is seeking $109,975 through its crowdfunding campaign in order to build the very first Land for the Homeless (L4H) facility. The project aims to use this facility to immediately provide for the basic needs of the homeless population with and steadily increase services from there. Specifically, with the funds raised, Land for the Homeless plans to purchase a plot of private land and assist up to 120 clients on the premises, who either are unable or unwilling to seek refuge in traditional sheltering programs, with enough space left over for expansion potential. 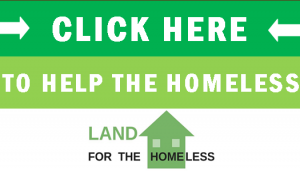 Land for the Homeless is a 501(c)3 public charity whose mission is to foster a community, and advocate, for those in need of shelter. The philosophy behind the project is “a tent is better than a park bench” and that the homeless are better cared for ASAP in a well-maintained community than ignored on the street in harsh conditions while they get put on shelter waiting lists. Kyler Dineen is a 19-year-old entrepreneur from Old Bridge and the Founder/Executive Director of Land for the Homeless. He is the founder and manager of a small marketing firm called Melodic Marketing which has served local businesses. Kelly Lynch is a 22-year-old communications graduate student from Mount Laurel and the Vice Executive Director of Land for the Homeless. She has been involved with the project since she was first recruited in January of this year.